Nobody said becoming an author was going to be easy. And it’s probably not going to be easy. You know the old joke about being an overnight success after years of hard work and struggle. In most cases, that’s the truth. We do hear about the genuine overnight successes, such as Cecelia Ahern in my own native Ireland. But the fact that they make the news shows how they’re the exception. And even they have to take the time to write their novel, with all the commitment, struggle and persistence that that requires, without knowing if it’s going to be a success. Stephen King in his book On Writing tells how he struggled for years, and was genuinely on the point of giving up when he got his first publishing contract. Even JK Rowling, the ultimate writing success story, had her share of struggles and rejections - it certainly wasn’t an easy path for her either. Stephen King and JK Rowling’s stories both had a happy ending, of course. But for every overnight success, there are hundreds of people who didn’t make it, or haven’t made it yet. I’m not saying this to put you off. It’s just a reality check. I absolutely think it’s worth pursuing your dream - I wouldn’t have put the time and effort into making this website otherwise. I explain this further in the page on your Guarantee of Success. But you need to know that success as a fiction writer will require persistence. Don’t expect to be an overnight success, because the chances are - massively - that you won’t be (and it can be a nice surprise for you if you are). Know that you have to put in hours and hours of work into this project; hours when you could otherwise have been watching television, or socialising with friends and family, or building a business, or pursuing another hobby, or even sleeping. 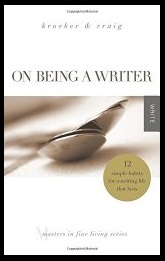 (See the section on making time to write). Unless you’re lucky enough to be independently wealthy, then you’ll be doing this as well as the day job; certainly for the first novel, and as explained in the page on getting rich writing fiction most likely for subsequent novels too. Know that the novel will not be written overnight. It's a marathon not a sprint. If you can accept this happily (or at least, peacefully), then it’s easier. Putting in all these hours and resenting it seems too high a price to pay. And in truth, you should be enjoying the process for its own sake. The time spent writing should seem like a gift, not a burden. If it feels like a chore, then question why you’re doing this, and maybe consider calling it quits. You don’t to do this. Having said all that, even with the best will in the world, and the absolute certainty that it’s your path - there can still be days that you despair, days that you feel like you’re swimming through treacle, days that it’s all too much. There are two solutions to this: the first is to acknowledge that there will be tough days so just accept them. Having those days and feeling that you shouldn’t have them is too high a burden. They will happen, and they will pass, and that’s all okay. Irish author Declan Lynch says that the difference between writers who make it, and writers who don’t, is that writers who make it are the ones who keep going even when it seems impossible. This is one huge way in which you can put the odds of being published as a fiction writer much more on your side. Keep going when it seems impossible (both with writing your manuscript, and looking for agents/publishers), and you’re already ahead of the many, many people who give up too easily. I’m not saying that you should still be sending out manuscripts when you’re ninety. Not everybody will make it, and a stubborn refusal to realise if that means you, isn’t doing you any favours. There is a huge spectrum between giving up too early and giving up too late - and most people give up too early. Make up your mind now that you’re not going to be one of those people, and your odds of success have just dramatically boosted.